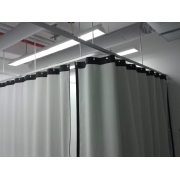 They are made of a fireproof material and are certified against the European standard EN 12254, that rules the "screens for laser working places"
These laser safety curtains can be delivered with eyelets of ~20mm diameter, separated ~180mm from eath other and at ~40mm from the center to the edge of the laser protection curtain. Hooks aren't delivered. 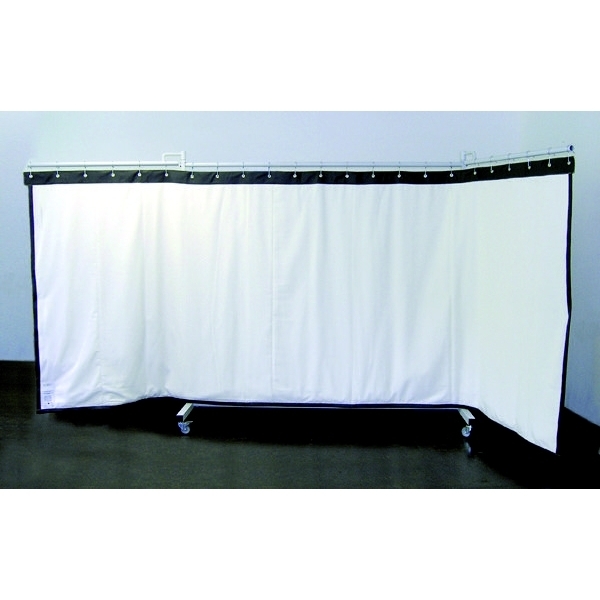 We can offer rails and accessories to fix the laser blocking curtain to the ceiling. 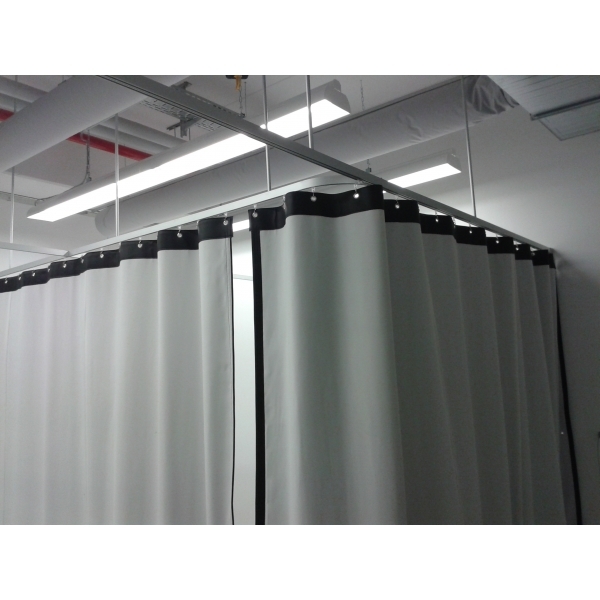 If these flexible laser blocking curtains don't fit your needs we can offer laser safety and protection (movable) screens. If you need a customized laser protection structure (cabin, enclosure, housing) with certified EN 12254 materials, or complete EN60825, we can offer taylor-made laser safety cabins, enclosures or housings. 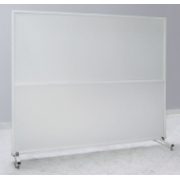 You can also purchase the EN12254 certified Prometheus panels, cut to measure to build your own housing or protect areas of high laser irradiation in it.